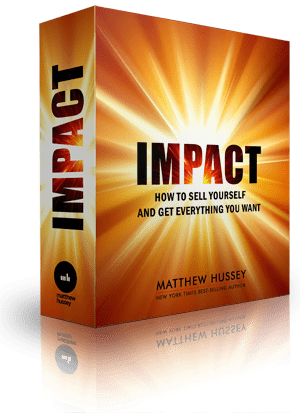 Win a Free Copy of IMPACT! Today is a very special day. It’s the day I finally re-open my IMPACT programme after keeping it locked behind closed doors for a long time now. For those of you who don’t know, this programme is very personal and concerns a subject I’ve spent my entire life studying: People. I realised early on in my career that you can have all the talent in the world, all the motivation, and all the right plans, but without the skills of influence and mastery of how to deal with people, we will always hit a brick wall in life. That’s why I’m so passionate about IMPACT, that I really want to get the word out to as many people as possible while I’m making it available again (for a very limited time). So here’s what I want to do: I’m going to give away a copy of the entire IMPACT programme completely free to one lucky winner. All you have to do to enter this competition is it to choose one or more of the sharing options below, enter your name and a contact email address, and that’s it. (The more sharing options you choose the more points you’ll receive, so the more you share the higher chance you’ll have of winning!). Competition closes at 6pm Eastern Time today. I can’t wait for you to get your hands on this. I’m so proud of how much I’ve packed into this programme – I know how many people have already transformed the lives by applying the techniques and secrets in here and can’t wait for it to do the same for you. Thanks so much for all your support. It means the world to me.